The driving rain paused only for a few moments, here and there, during the day. In mid-afternoon, as the grey light faded, I walked the harbor and the few residential streets. As I packed and re-packed my gear, charged batteries, and cleaned lenses, I had growing concerns about how the storms would affect our workshop plans. Did all the participants arrive? Would the one highway to Snaefellsnes be open tomorrow? Thor emailed a few times during the day, strategizing about how we would meet up in the morning. I had the rental car and planned to return to the airport to join anyone arriving on morning flights. It seemed a few participants, if their flights made it, where staying tonight at a guesthouse near the airport in Keflavik, and maybe some were already in Reykjavik. But nothing to do now but wait out the storm. There was plenty of beer across the street. Iceland in winter is not as cold as most people think. This is especially true, I think, on the south coast where the relatively warm Gulf Stream moderates things. Always seemed like a high of 2° and a low 0f -1° (that’s Celsius, by the way); not really any more variability than that. Certainly not as cold as western Nevada. However, the windchills get absolutely crunchy cold. 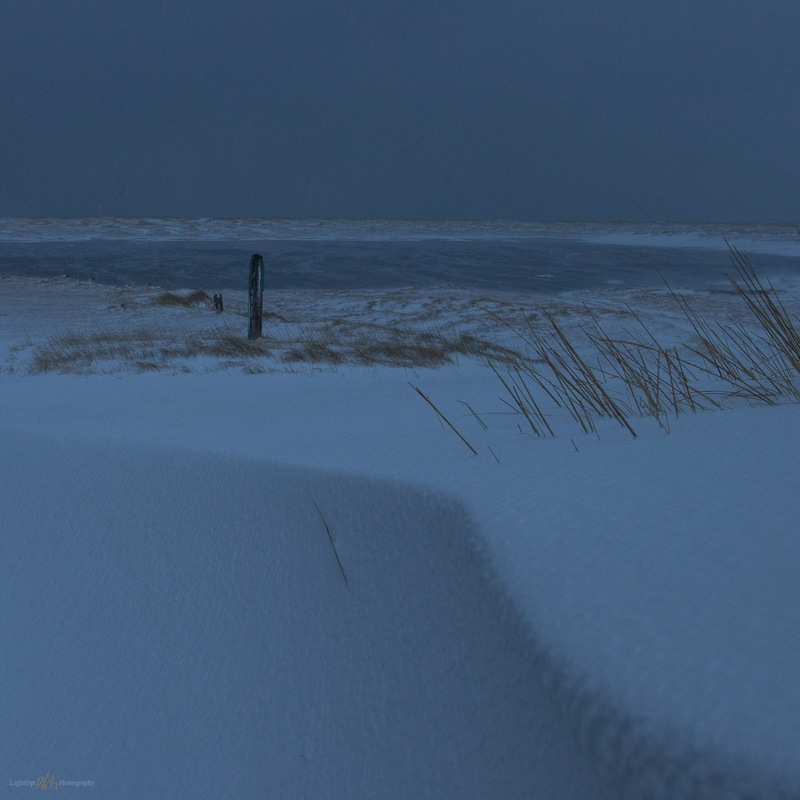 And today, Iceland’s first winter storm of 2018-2019 dished it out. But no worries, Thor and Nick were on schedule (via email) and I left Bill to head to the airport for the workshop’s opening rendezvous—Bill flies back to the States later in the day. Returning the rental was easy and after the usual forensic check for dings and scratches—Iceland roads can be rough on rentals, and the final inspections are clinical, I was back in the terminal and wandering like any other newly arrived photo-tourist. The arrivals area isn’t that big and I quickly noticed a couple guys sitting with tripods and sporting that experienced backcountry look. Robert, Jeremy, and I loiter near the exits. “Where ya from?” “Been on any other workshops?” The early banter of a growing team. Quinn arrives. And soon Thor is there with the van. Spot-on, on-time. We have a couple stops to make. A guesthouse in Keflavik where Erno, Randy, Mike, and Ian loaded in. Nick, to his and our relief, appeared just about human and had commandeered Thor’s smaller 4x4 Nissan. Into Reykjavik downtown where Cindy and Ken seemed to wait on random street-corners. That was it. Now we were ten sheep and two wolves, as Thor immediately clarified the taxonomic workshop hierarchy. The captive barnyard of new friends turned into the storm. 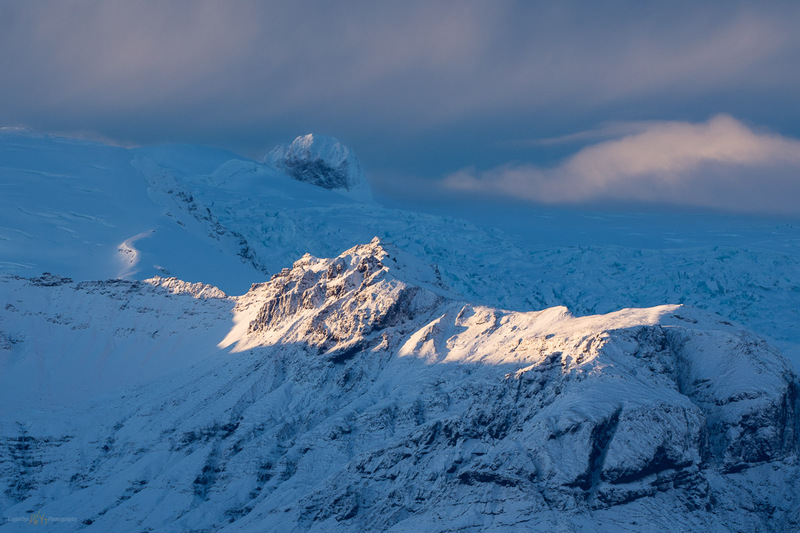 The plan was to drive toward the Snaefellsnes Peninsula in the western region. The benefit of having Thor, our native Icelandic co-leader, was readily apparent. He can call friends at the road service and has mobile connection to several obscure but locally significant weather assets. He contacts the night’s hotel and gets conditions on their porch, nothing lost in translation. On Iceland’s ring road heading west, scudding clouds blocked the horizon and our van leaned into the wind. We took a lunch break at a truck stop where the burger and sandwich selections had names of US cities. Do I order the Reno? 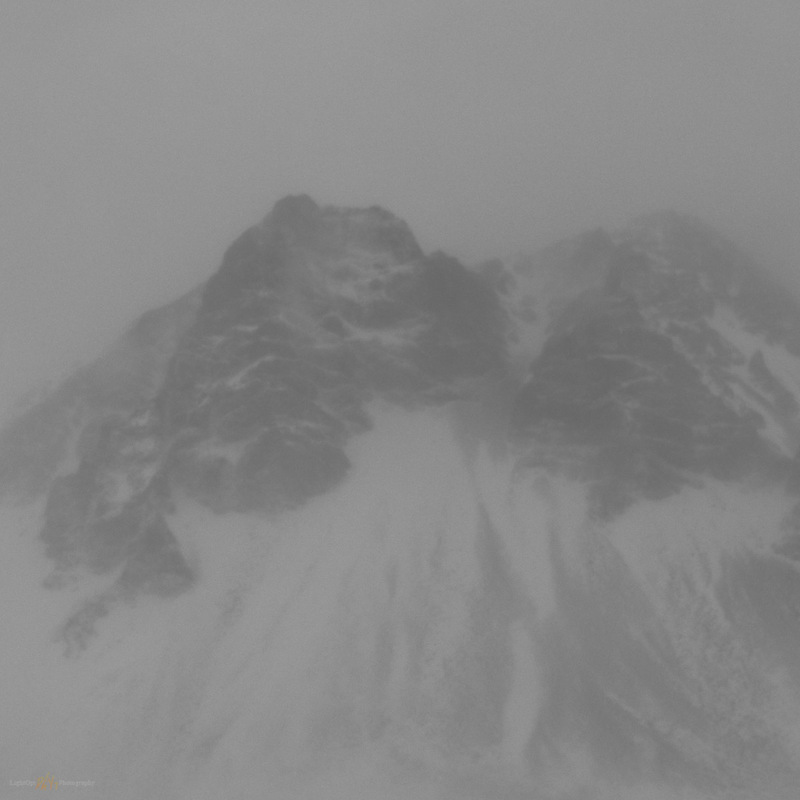 As we traveled along the southern coast of Snaefellsnes, with the ocean curtained by blowing snow and low clouds, the volcanic scarps of the sudden mountain-fronts reminded me of the northern Basin and Range. In the stormy twilight, the dispersed groups of small buildings could be mistaken for Oreana or Beowawe, Nevada. Tan pastures and haybales, mossy lava flows skiffed in snow, black, stratified uplifts backing every winter scene—it did not seem too far from home. But as darkness of the afternoon lowered, the storm intensified; this wind and driven snow had teeth that where somehow sharper than any Great Basin gale. The stout 4x4 Sprinter rocked and drove forward. We passed occasional structures that slowly transformed into cold, blue-white drifts. They looked abandoned for the season, or maybe forever. In a momentary lull, our leaders, communicating by two-way radio, thought maybe we had a location worth shooting. With that suggestion made, however, a white-out gust blocked any forward movement. We turned around. The once-talkative van was silent. None of us had any notion of our next move. Where was the guesthouse? Was there lodging available now that we turned back? But after a very few minutes, Thor steered us into the driveway of a lonely cluster of buildings shrouded in blowing snow. A thick frosty rime had developed on the simply gabled structure. “We here,” Thor exclaimed. “Everyone out.” A door on the encrusted building cracked open as bright light streamed out, and our eyes began to focus on a lengthy, low-slung guesthouse, one that looked nicely warm on the inside. Langaholt. 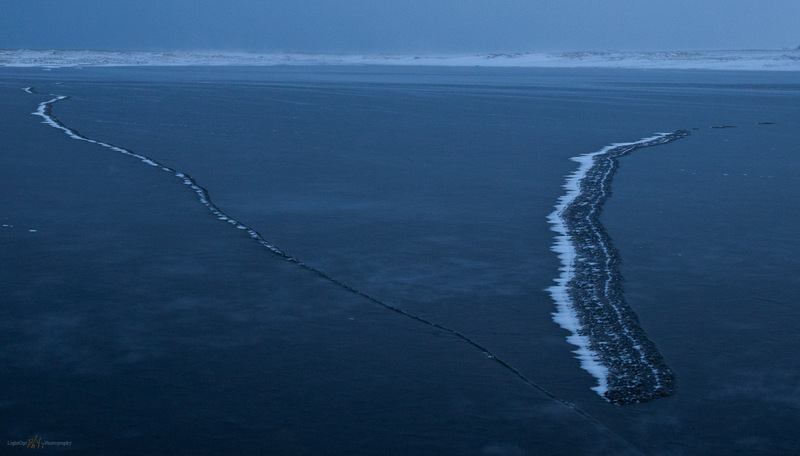 Walking ice after dark, Langaholt Lagoon. Langaholt Evening. Difficult conditions for hand-held photography, but I needed the walk. Closing the Veil. The mountains of Snaefellsness at Langaholt. We settled in for the night—a good time for introductions around dinner and beer. The roads were all closed now. We’d beat the storm to Langaholt, but would it allow us a sunrise tomorrow? 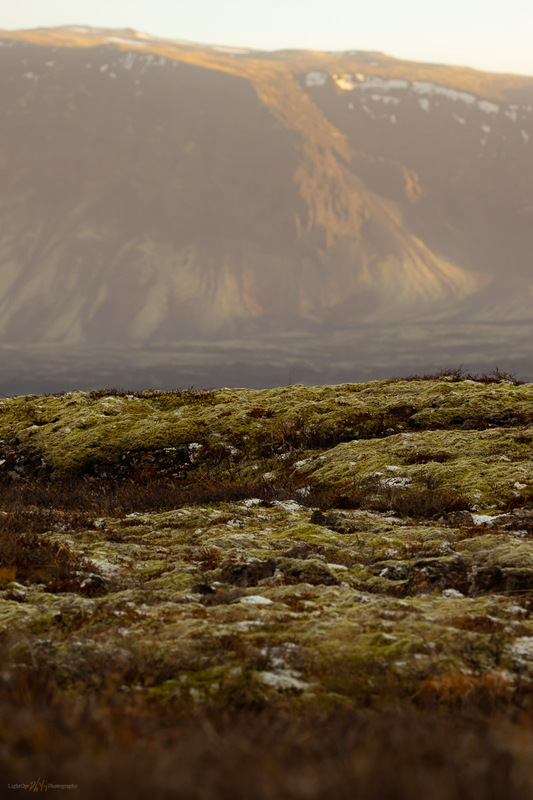 Day 2: This LightOpt Series is a photographic journal of 12 days in Iceland. Back in Iceland. 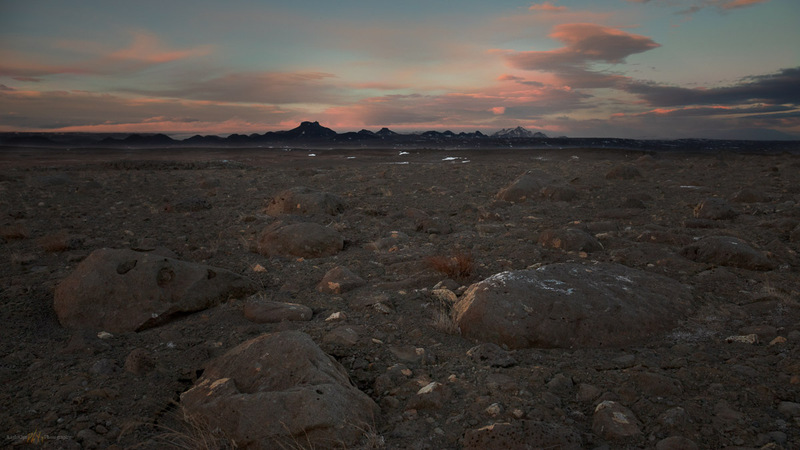 A volcanic desert plain above the Tungufljót River. And yet, my romantic notions of travel don’t get me out of sitting bored for seven-plus hours, Seattle to Keflavik. At least I had the row to myself. Nick also had two seats to himself, having scared his seatmate off to other parts of the plane at the slightest mention of illness. He also had a pile of blankets, a dysfunctional overhead light that was permanently on, and emergency access to the lavatory (access that under the circumstances still required the occasional and grueling 15-minute wait). Oh, the romance and intrigue of being a globe-trotting, professional photographer. We arrived at Keflavik International in the pre-dawn of Wednesday morning. Of course, at the on-set of winter near the Arctic Circle, pre-dawn is anything before about 10:45 AM. Anyway, it was early and very dark. Although I’d lugged all my camera gear (minus tripod) as carry-on, my warm and waterproof field gear, and everything else, was in baggage. Navigating passport control was simple and we soon wandered over to baggage claim. Once there, we enjoyed those few moments of nervous waiting, when you’re sure your bag has dropped onto the carousel, but it’s a carousel in Cleveland, not Iceland, because it is taking forever, and hundreds of other bags have come and gone, but there it is. Finally. I’m here a couple days ahead of the workshop start. Nick and I parted ways. He to recoup and meet up with Thor, and I to hire a rental car and escape the airport. I made the short drive to Vogar, up the road toward Reykjavik, to see if I could check in to my hotel in the early morning. Bill is already there and said my key is waiting in the foyer. 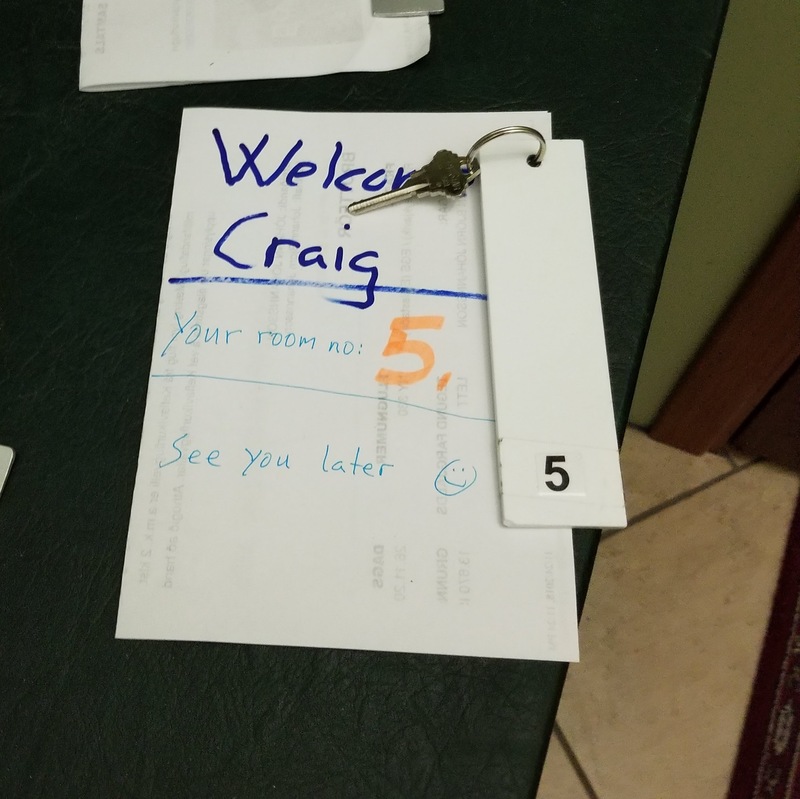 Sure enough, I find the small Hotel Vogar and drop into the lobby. My key rests with a nice note, otherwise no one is around. Bill seems the only other occupant. The forecast looks grim—big storm rolling in and strengthening off the southwest coast. It will mean harsh northwest winds and bring rain and snow. Foregoing sleep until the evening, Bill and I decided to head north for the Golden Circle, a day of driving to hit some of the tourist spots—Þingvellir, Geysir, and Gullfoss. Moss (Cetraria islandica) and volcanics, somewhere on the Golden Circle. We made a few stops, hiking a bit while I tried to shake off sleep. 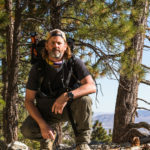 In addition to circumnavigating the globe, Bill’s been around this loop before, staying in guest houses and hiking deeper in, so he shares stories about several places off the beaten path. The roads are relatively quiet. Our stops at popular vistas and trails are not crazy-crowded, but there are plenty of tourists, until we finally reach Gullfoss. It’s large parking area looks almost abandoned. It’s getting late, folks scurrying back toward Reykjavik now that the wind has picked up and the effects of the storm are growing. 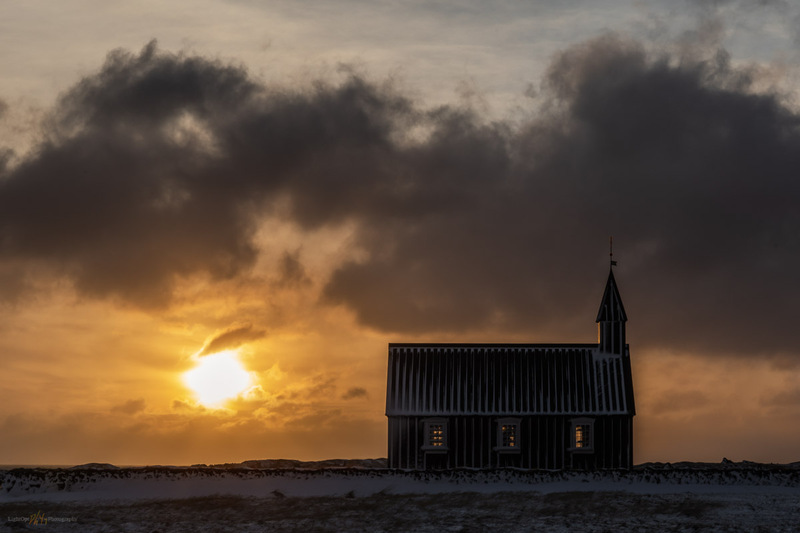 The light is receding, and I’ve learned my first Icelandic photography lesson: the winter Golden Hour lasts a long time here—because the sun remains low on the southern horizon at this time of year, sunrise and sunset last all “day” long. You don’ t need to “chase the light”, something I’m guilty of at home. However, scudding clouds and dusty mist plumes can alter things quickly. As lenticular clouds stacked the sky, we drove right past the Gullfoss tourist building and continued north—not another car in sight. We pick a random pull-out as I gawk at distant, pink-hued mountains framed by lenticulars. Wind-driven glacial dust provides a warm glow in the slowly fading light, a verification of my purpose for being here. Conditions beautiful, inspiring, and challenging. We hiked across a sandy, boulder-strewn plain to overlook the valley of the Tungufljót River backed by distant mountains and glaciers (Eystri-Hagafellsjökull). We followed sheep trails and a few random vehicle tracks, and yet we occasionally post-holed through the indurated crust—a local reminder of the freeze-thaw cycles affecting this boulder-strewn landform. There’s little vegetation on the wind-swept surface, a beautiful glacial desert of volcanic boulders. I captured images of the distant range but shooting into the wind I get sand-blasted, especially when lowering the camera’s perspective for foreground interest. 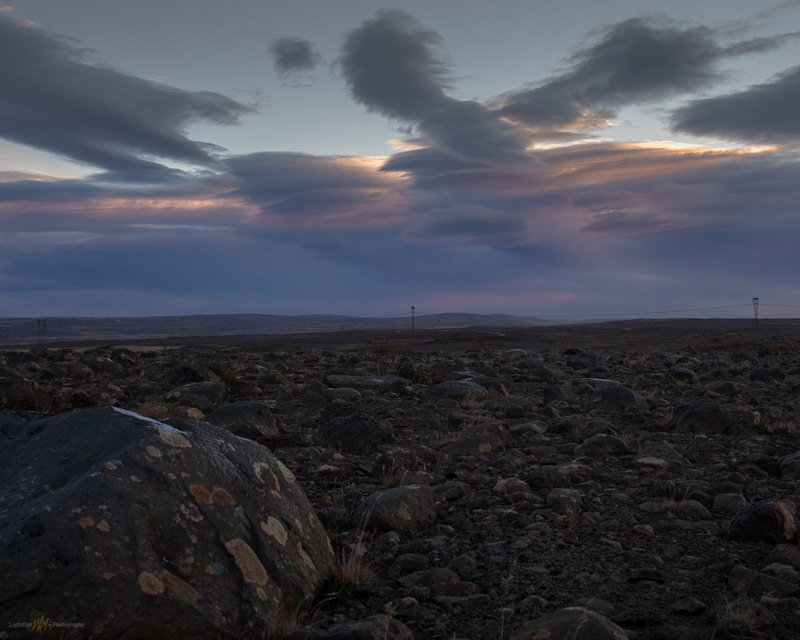 No worries, the lenticulars to the south were blooming in post-sunset hues, I turned around to shoot with the wind. The coming storm, on the bouldery steppe above Gullfoss. Troll fences ready. 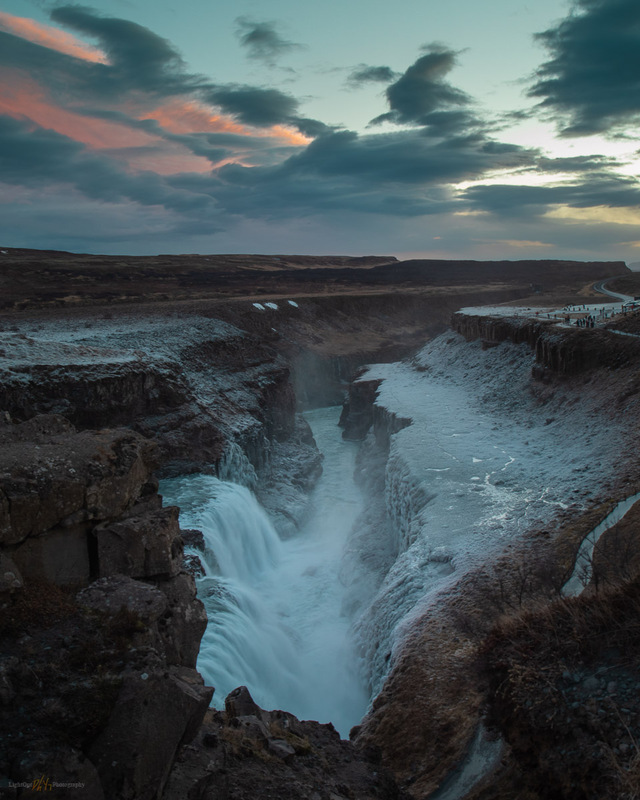 With the light fading, we still wanted to visit Gullfoss, so we turned back to the waterfalls. Once we’d parked, while grabbing my camera and locking it into my tripod, the lens cap popped off. I watched it roll, at about 30 miles-per-hour, across a few acres of mostly empty parking lot. I figured it would stop at a distant set of gravel berms and calmly pursued it. It was there, among various other detritus gathered by the gale. But now we could barely make forward progress; we leaned into the wind as the few other visitors were stumbling toward shelter. Little did I know, this would be good practice for the coming days. I framed a couple images sitting on a lonely cliff-edge looking down the falls with my back to the wind. As I adjusted the camera, trying to compose a shot and judge the exposure between wind gusts, Bill belayed me by clutching my jacket. It wasn’t dangerous, really, but several gusts had us reconsidering our precarious position—if I had let go of the tripod it would surely have been lost to the abyss. The shot doesn’t do Gullfoss much justice, and there are plenty of better ones on any social media, but it was such fun and a seductive reintroduction to Iceland. 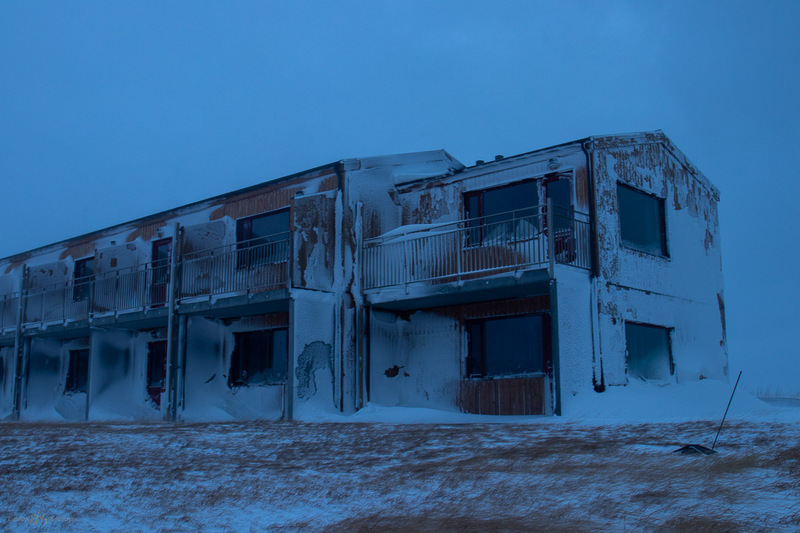 We returned to Vogar, driving into the teeth of the island’s first winter storm. What will this storm, howling outside my hotel window, bring as we continue the Icelandic Winter Adventure? Day 1: This LightOpt Series is a photographic journal of 12 days (mostly nights) in Iceland. Invest in yourself – sage and true advice if there ever was any. So rather than believing the next new piece of gear was going to spark some hidden creativity, I decided to travel for a landscape photography workshop. I’d get some first-hand instruction, collaborate with other photographers, and visit somewhere beyond the Great Basin. But what workshop? It had to be a cool place with maybe a few iconic locations, but it also had to have potential for interesting conditions. And yet, most importantly, the instructor had to be someone I am familiar with, has an informal and proven teaching style, and exudes a creative vision that I could (and may forever) aspire to. In the day of YouTube, where tutorials abound, it’s relatively easy to wade through personalities and styles and, ironically, “get to know” someone. Sort of. I had also purchased a few paid video tutorials and image critiques, giving me first-hand experience of teaching styles. When, last spring, Nick Page offered up an Icelandic Winter Adventure, I had confidence it would check all the boxes. I’d gouged around Iceland several years ago and have always planned to return. The workshop also emphasized that Nick would be accompanied by Thor Jonsson who would bring invaluable local knowledge; a collaborative team that also basically halved the participant:instructor ratio from the start. Seemed perfect, I immediately signed up, and then… The day after I invested in myself all the Iceland news and commentary shifted immediately from the wonders of Iceland to how it was basically and completely overrun with tourists and not a few too many photographic workshops. My confidence in this decision began to wane. Would the conditions meet my hopes—I can take bad weather, but will it be all tour buses and tripod entanglements? What are the real chances of aurora? And, lastly, would the workshop group be interactive, open-minded, and, well, nice? I left Reno in late November with these questions lurking in the back of my mind. I had created an itinerary that would get me to Iceland with a couple days to spare at each end of the eight-day workshop. I’d rent a car and do some solo travel, my preferred idiom. But over the summer I learned that a good friend trekking around the world would be ending his two-month sojourn by flying into Keflavik as a homeward stopover. We wrangled with flights and hotels to time arrivals so that we could, at least, share an Icelandic dinner and beer. I hit my connecting flight in Seattle and found Mr. Page—he’s easily recognized, I mean, that beard—at the Icelandair gate. As I introduced myself, he instinctively reached out his hand but had this weary look in his eye, “get away from me, man.” The first words of one-on-one instruction from one of my heroes of photography. I’m often most happy on travel adventures when the itinerary breaks down. Things get interesting when you get off the main road, find sketchy lodging, stumble into a village market, and meet the real people. It is sometimes a bit (or a lot) scary but it is all about how you respond, and the rewards can be huge. Nick was incredibly ill and kindly did not want me to catch his bug. He had the worst flight imaginable. I had the best.